Being Frugal and Making It Work: February #LoveMe Challenge: Learn to Love YOU! The #Love Challenge originated over at Pepper Scraps, to learn more and join us - be sure to check it out! 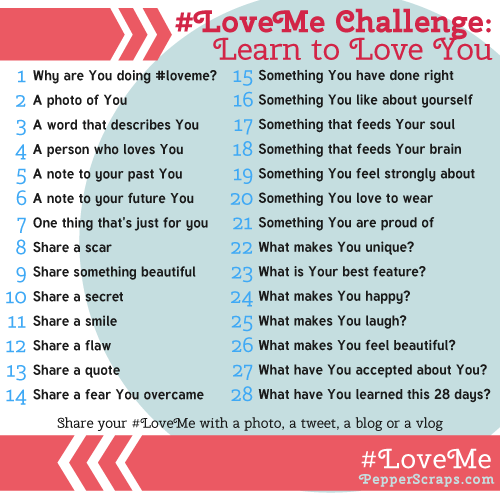 Join the #LoveMe Challenge today and see what you can learn more about yourself by sharing with others. What a fun challenge. Are you participating this year?